Can you believe another year is almost over? There’s only two weeks until New Year’s! Where does time go? I feel like each year goes faster and faster the older I get… It’s been tradition to spend New Year’s with our neighbors but last year we broke that tradition and hung out with friends from our marina. This year, we are truly torn as to where we want to celebrate. 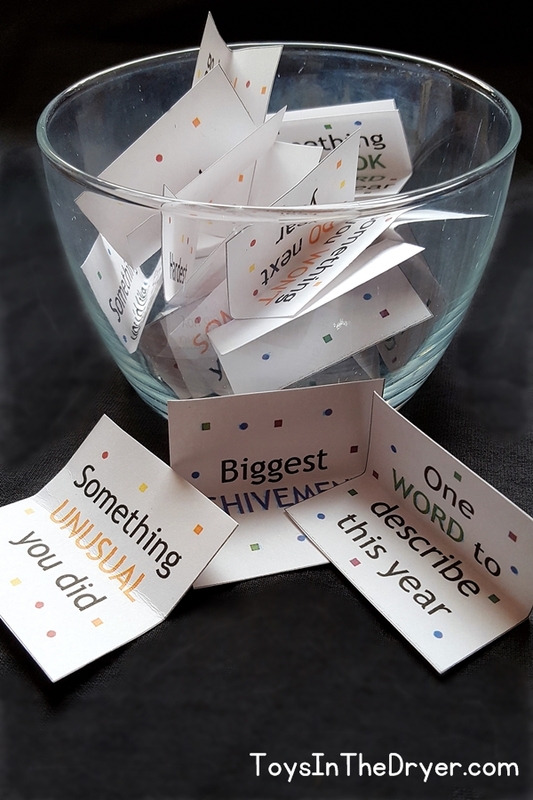 Either place we decide to go, I’m bringing this fun, free printable New Year’s game to play. Not only is this game incredibly easy to bring and even more simple to play, it’s the perfect way to kick off a party where all the guests might not know each other. You can’t ask for a more entertaining way to get the conversations started. 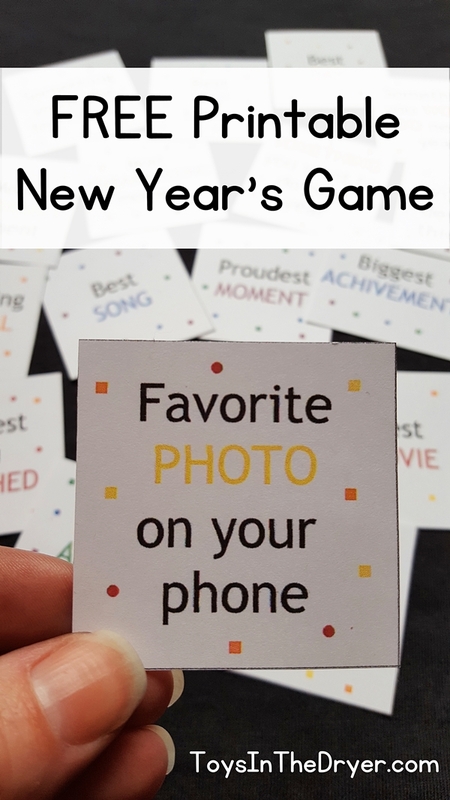 Add in that this free printable New Year’s game is family friendly, and this game is the perfect way to bring the adults and kids together to have some fun. Just make sure that the adults haven’t had too much to drink yet because some of the answers *could* get interesting depending on how open people become! 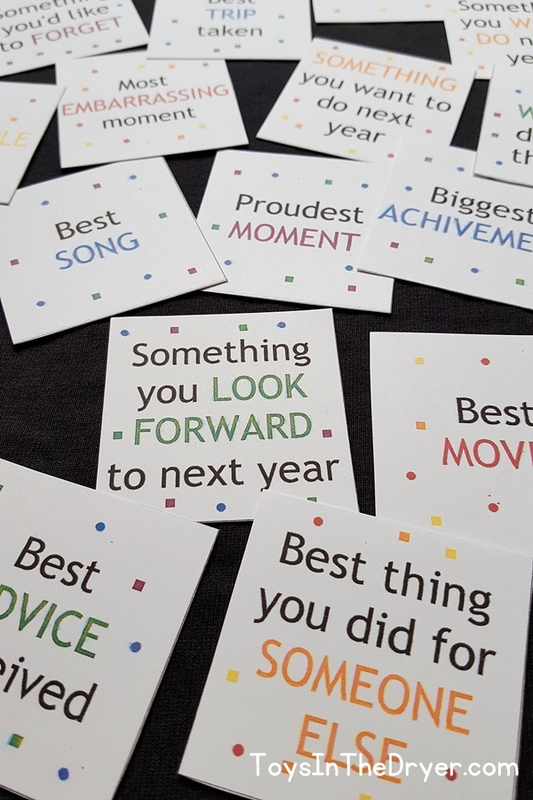 Prompts in this New Year’s game include things such as “something unusual you did,” “something you’d like to forget,” and “biggest achievement”. I know that I can’t wait to reminisce about the past year. If we celebrate with friends from the marina, most of the talk will be about our fun boating adventures. If we hang out with our neighbors, talk will be about the dogs and kids. 3. Skip the bowl and put the cards in balloons for this New Year’s game. Option 1 is good for large groups, option 2 is good for small groups, option three can be either size group depending on how many people are popping balloons. All options are guarenteed to be fun! So who are you celebrating with this New Year’s? 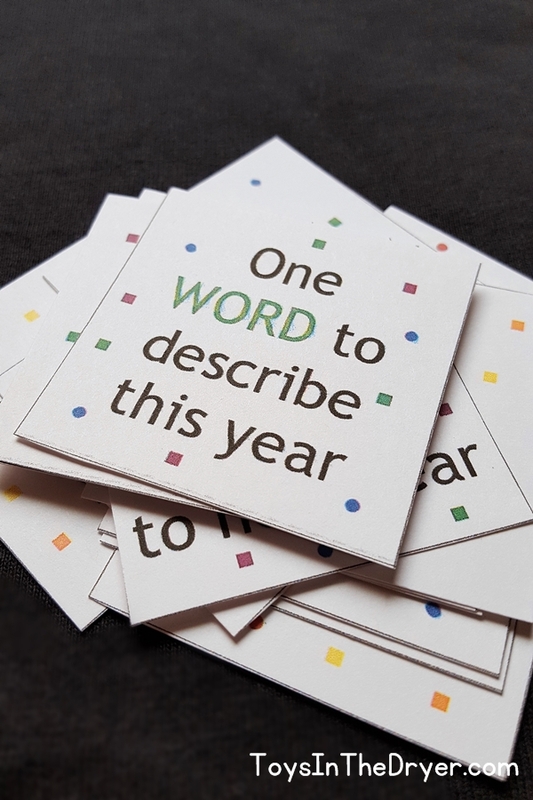 Will you be playing this free printable New Year’s game?